The adventure moves on – this is a big week for us as well. 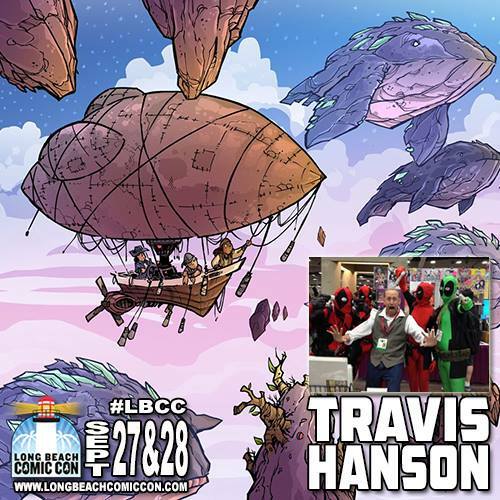 There are a lot of projects going on – including an adventure at the long beach comic con this weekend- where I will be a guest at. So if you are in the area this weekend come on by for some free sketches and all sorts of other goodies. Also I am working hard on coloring the bean. It is looking sooo good. Thank you again for all the support. You guys are incredible. And who’s your favorite character so far? My favorite character so far was Siv! Second Papa or Roc Noc. Let me try for another prediction the place is the one with the lady bouncer. Otter knows where she´s safe especially from prying eyes. 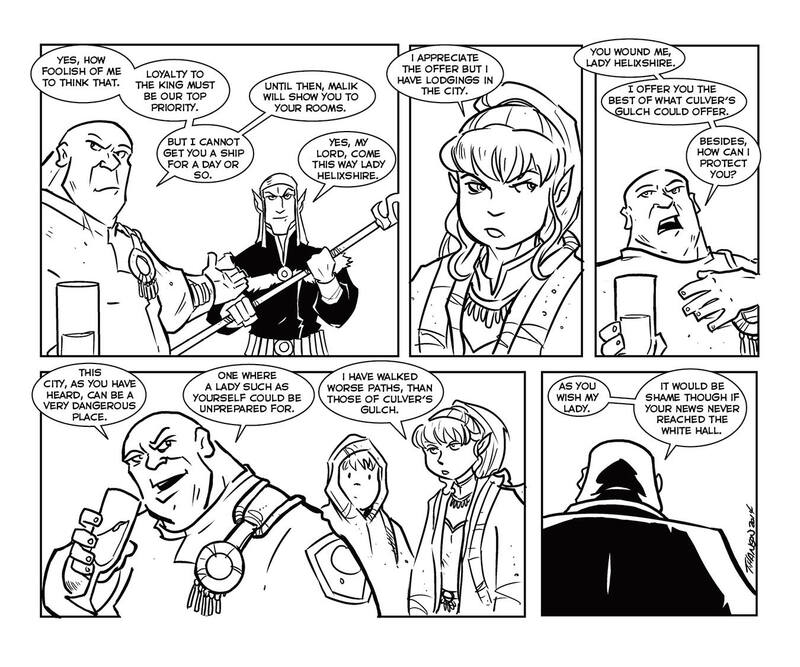 Is there a link that always points to the newest page? "This is city, as you have heard, can be a dangerous place" should lose the "is". Love the page! Well my creep-o-meter just pegged. Though, I suppose he could just be lonely and wants their company.